The last couple of days have been fun for our in-house developer, and they have been hands-on with iOS 7 beta 1 and wanted to share some insight into the app switcher and multitasking after playing with these features for a few days. Some newbies might find iOS 7 difficult to use for a while and this is thanks to it being radically different. Apple has changed the mobile software so much that its like a completely new OS, and while it’s much better in our opinion getting used to simple things like the iOS 7 beta 1 app switcher and multitasking takes a some time to understand. Considering the amount of new iOS 7 features and way the OS has changed, it will take most people a good week to fully understand everything new. We have taken a couple of screenshots to give you a quick idea of the new iOS 7 features found after double clicking the home button. You will see all the apps and a window for each one open, then you simply swipe that window upwards to close it from the background. The next iOS 7 screenshot shows one window being swiped upwards to close it, although at first this isn’t completely obvious and some people will try and hold their finger on the window or app icon to close it as we did in iOS 6. Some users will hate change and sadly a lot has changed within iOS 7, but after you play around for a while you will understand the benefits most of these new iOS 7 features and design changes provide. 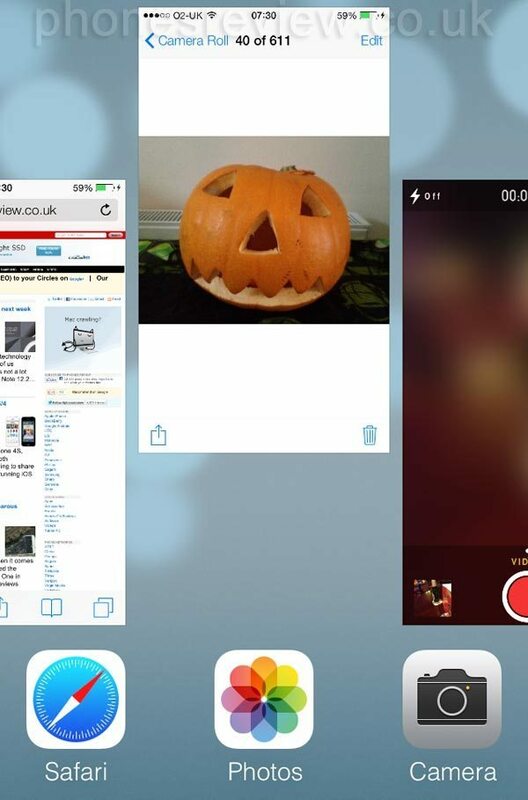 Our app developer was extremely impressed with the iOS 7 app switcher and while our Android readers will point to their OS having this sort of multitasking for a while now, it is good to remember dedicated iOS users that were sticking with Apple are going to welcome this new feature with open arms. This is also without getting into the 90%+ install base for iOS 6 compared to the latest version of Android Jelly Bean being on just 30%+ of handsets, which clearly shows MAJOR fragmentation. It is great for Android users to get better features, but what’s the point if it takes you a year or more to get that OS with the new features. You can see that the app switcher in iOS 7 delivers a way for users to change between “open” apps as well as closing them. It is worth noting that a number of iPhone 5 / iOS 6 jailbreak’s included features like the iOS 7 app switcher, so some people will notice there’s some inspiration come from these. Another thing to note in IOS 7 is that it will learn about you and the apps you use, so if you use Facebook early every morning then iOS 7 will have that app ready and waiting for you in the app switcher. This is just one sign of how iOS 7 multitasking will make your life a lot easier. 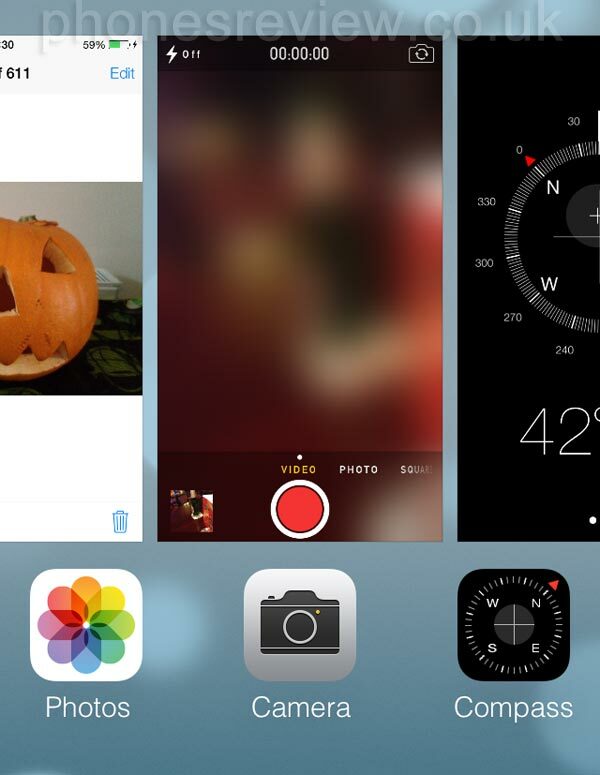 Will you welcome the new iOS 7 app switcher and multitasking? 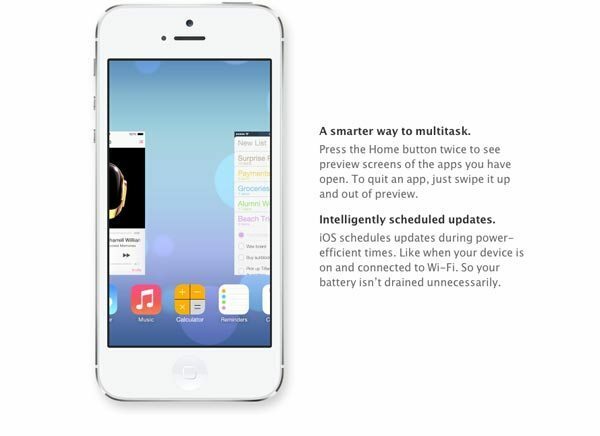 If you want to watch a quick video with iOS 7 multitasking, then the official Apple page has one right here. It is only quick, but delivers a visual look at the iOS 7 app switching and multitasking in action. I am trying to figure out if iOS7 has true multitasking like Symbian where an app can sit in the background as long as it is wanted and receive data, etc. A good example is an enterprise e-mail client like Good Messaging that works really well on Symbian, albeit on very limited number of phones, and does not work well at all on iOS and Android. On Symbian the app sits in the background and gets new e-mails constantly, so that there is no wait to read them. On iOS (and Android) the app gets closed by the OS and when a new message arrives, the user has to reopen the app and wait for up to 10 seconds to get access to the incoming message. Would something like this be rectified by iOS7 multitasking or is it still not possible for an app to be left alone working in the background? Thanks!